Jan. 23, 2017, 9:40 a.m.
By Ricardo Bilton @rbilton Jan. 23, 2017, 9:40 a.m. Whichever side is correct, the experience made Forbes want to seek a model for journalism that wasn’t reliant on advertising. 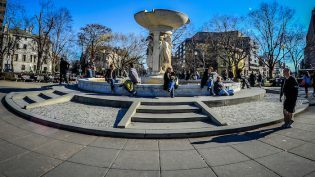 In 2014, Forbes launched The Asheville Blade, a local news site focused on some of the big social and political issues facing the city, such as wages, housing and local government. But in order to cover those topics the way they wanted to, Forbes wanted to adopt a “funding model that avoided external pressure entirely.” So they turned to crowdfunding platform Patreon, which had launched just the year before and would let Forbes fund the Blade with cash from readers, not advertisers. Patreon wasn’t built with funding journalism in mind, but it’s become an effective way for creators of a wide variety of work, including journalism, to fund their projects. The company said earlier this month that since its launch, it’s paid out $100 million to creators, some of whom are able to make a living off of their Patreon contributions alone. For creators, Patreon’s appeal also lies in its simplicity: rather than appeal to advertisers or some other group for cash, creators appeal to the subscribers themselves, and in the process build relationships and real communities with the people funding their work. While there are a handful of high-profile journalism projects on the site, such as Canadaland and Smarter Every Day, The Asheville Blade is one of the few attempts at using the platform to fund local reporting. While most of the Blade’s content is free on its website, Forbes offers memberships at $3 and $10 a month. The $3 option gives subscribers additional behind-the-scenes content not available on the main site, such as the full audio of recorded interviews and commentary on ongoing stories, while the $10 option gives members free access to local speaking events and contests that the site hosts every few months. Forbes said that it was important that the Blade keep subscription costs low: “I really wanted to keep it affordable to working people,” they said. Since its launch, The Asheville Blade has focused its efforts on long, investigative pieces into many of the big issues affecting Asheville. One of its earliest stories investigated urban renewal efforts had contributed to segregating the city. Another piece examined how Tupelo Honey, a major local restaurant chain, built its success in part by cutting the the wages of its workers. The formula has been an attractive one for people both inside and outside of Asheville, who are eager for deep investigative reporting that can help change the city for the better. As of time of writing, The Asheville Blade had about 250 members on Patreon, who help the site earn about $1,600 on average each month. While most of those subscribers are local activists and news wonks heavily invested in Asheville’s developments, a quarter are what Forbes calls the “Asheville diaspora,” people who either grew up in the city or were priced out due to rising housing costs and would like to move back. Forbes realized the subscription model’s potential while working with NSFWCorp, the subscription-based investigative news site created by Paul Carr and Mark Ames in 2012. While the company sold to Pando a year later, NSFWCorp’s business model “gave them a lot of flexibility and reliability in some ways,” said Forbes. That sustainability is also present at The Asheville Blade, whose monthly income is fairly stable, giving Forbes a clear indication of how much money they can offer contributors each month. “Barring a major shock of some sort, if people like what you’re doing, they’re not going to give it up if they’re only paying $3 a month for it, That’s is not a huge expenditure in their budget, generally,” Forbes said. The operation is, however, still small. While The Asheville Blade regularly features reporting and photography from freelancers, Forbes is still the only person working full-time on the project. That, Forbes said, has been one of the major limitations of the Patreon-based model, which grows slowly at first. Despite launching three years ago, The Asheville Blade is only now at the point where Forbes is confident enough in the model that they can hire someone to work alongside them part-time. “If you’re a local journalist or reporter looking to do this thing, the first few years are going to be kind of limited,” Forbes said. Editor’s note: The first published version of this story did not properly reflect the views of Mountain Xpress; we regret the error. 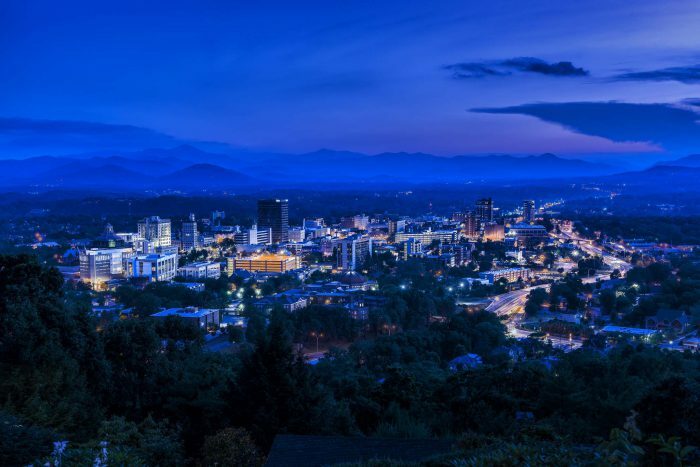 Photo of Asheville by Ken Lane used under a Creative Commons license. POSTED Jan. 23, 2017, 9:40 a.m.
Bilton, Ricardo. "Patreon is helping The Asheville Blade connect directly with readers — and skip over advertisers entirely." Nieman Journalism Lab. Nieman Foundation for Journalism at Harvard, 23 Jan. 2017. Web. 20 Apr. 2019. Bilton, Ricardo. "Patreon is helping The Asheville Blade connect directly with readers — and skip over advertisers entirely." Nieman Journalism Lab. Last modified January 23, 2017. Accessed April 20, 2019. https://www.niemanlab.org/2017/01/patreon-is-helping-the-asheville-blade-connect-directly-with-readers-and-skip-over-advertisers-entirely/.